The use of medicinal plants or natural products increased in the last decades all over the world. One of the most popular herbal plants is Ginkgo biloba L. because of its widespread healing effects. Ginkgo has been used by the traditional medicine for thousands of years. It has been a sacred tree, a symbol of yin and yang, of longevity and vitality. The Chinese had begun their medicinal use of the tree with the seeds, but they soon added the leaves and even the roots to their list of valuable medicinal materials. Ginkgo biloba has been thoroughly investigated for its constituents, and a whole array of compounds has been described. 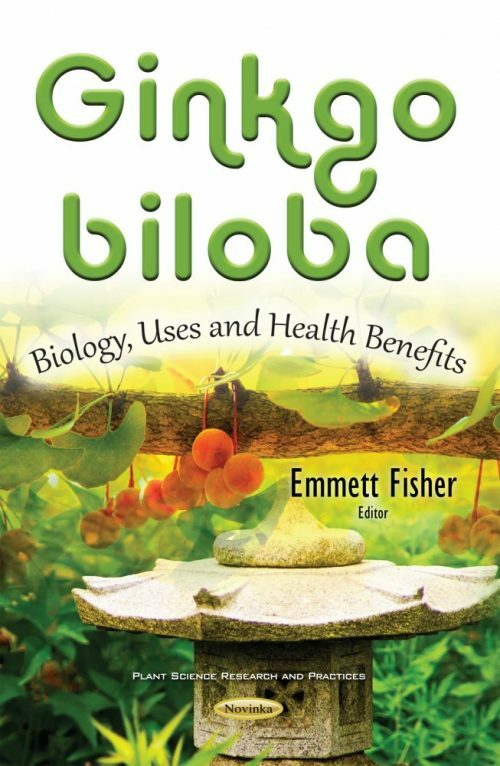 Chapter One in this book presents the basic biological description, phylogeographic history, and the ecological characteristics of Ginkgo biloba. Chapter Two studies the elemental composition of Ginkgo biloba L. leaves. Chapter Three discusses different ginkgo preparations. Chapter Four presents the results of a screening of different crude extracts, infusions and standardized extract from the Ginkgo biloba (Ginkgoaceae) leaves for total phenolic content, concentration of flavonoids and in vitro antioxidant activity.